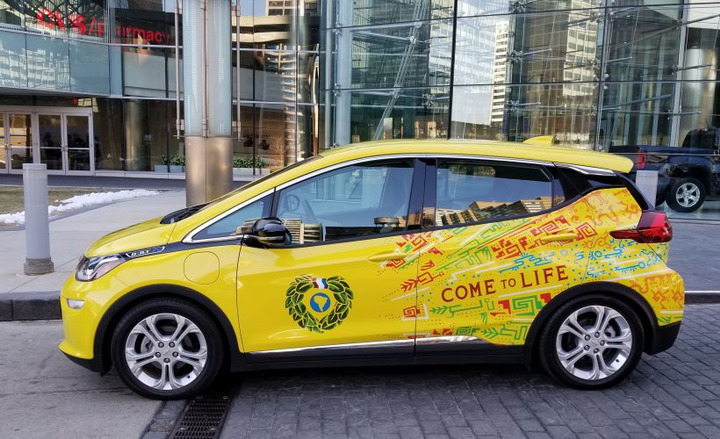 The Yerba Mate Co. has been an early adopter of the Chevrolet Bolt EV Cargo vehicle. 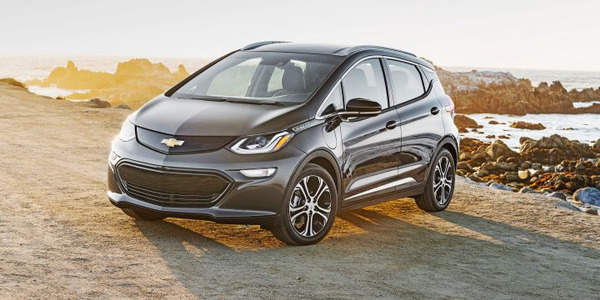 This fall, Chevrolet began offering a cargo version of its Bolt EV with auxiliary equipment from Adrian Steel and Knapheide that has begun to find its way into several commercial delivery fleets. The Bolt EV Cargo, as it is known, is available as a compact hatchback without its second row of seating. Instead, fleet buyers can add a cargo floor, bins, and other equipment to the incomplete vehicle. Fleet customers can also add toolboxes and various partitions or a cage. When it's set up as a delivery vehicle, the Bolt EV Cargo can provide about 66 cubic feet for rear cargo, which is 10 cubic feet above a standard Bolt EV with its rear seats folded down. 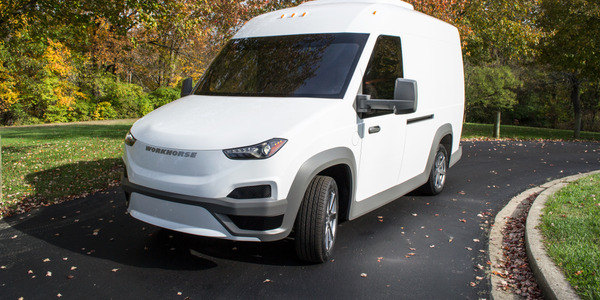 Chevrolet isn't viewing the Bolt EV Cargo as a replacement for its Chevrolet City Express compact van, which was discontinued earlier this year, said Mike Batchik, GM Fleet's commercial product manager of passenger cars. "The City Express had a lot more cargo capacity," Batchik said. "I don’t see it as replacement. I see as it as a short delivery car, an around town delivery car." 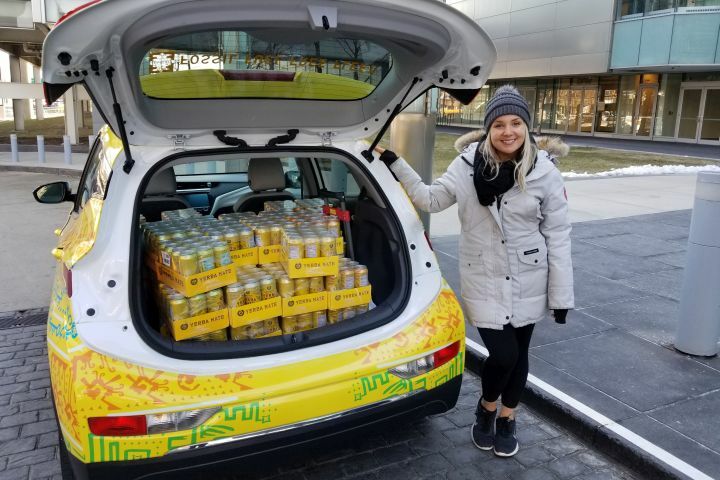 The Bolt EV Cargo can carry up to 600 pounds of payload, which equates to 125 cases of Yerba Mate's beverage. The Bolt EV Cargo, which is based on the Opel Ampera in Europe, also uses steel wheels with a wheel cover rather than the aluminum alloy wheels that come standard with the retail vehicle. GM also takes out the side thorax air bag and delete's the cord set that enables 110-volt charging. It comes with a J1772 combination charging port that supports 240-volt AC or 480-volt DC charging, but the DC fast charging cable is a $900 option. 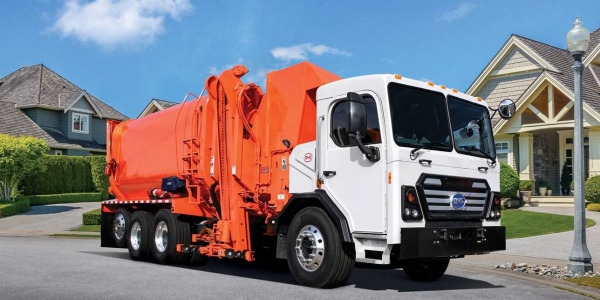 The vehicle can improve a fleet's total cost of ownership because the preventive maintenance needed is minimal. Fleet managers need to replace the tires at 70,000 miles and change the cabin air filter every two years. Chevrolet gives fleet customers a $1,000 credit for the rear seat delete. The 2019 Bolt EV retails for $36,620. 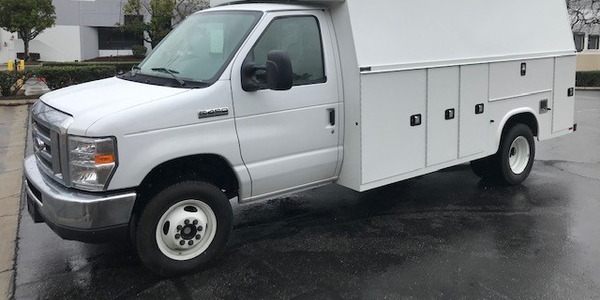 Adrian Steel and Knapheide have developed auxiliary equipment for the vehicle to help delivery companies set up the vehicle for the job at hand. The companies use GM's ship-thru network to deliver it to their facilities. Knapheide ships the vehicles to Flint, Mich., for a $350 fee, and adds the cargo floor for $1,350. The company also offers several choices of Sortimo bins. The Bolt EV Cargo has found an early adopter in The Yerba Mate Co., a beverage distributor of Guayaki Yerba Mate that has either leased or ordered nearly 100 Bolt EV Cargo vehicles on top of the current fleet of Bolt EV vehicles they utilize. 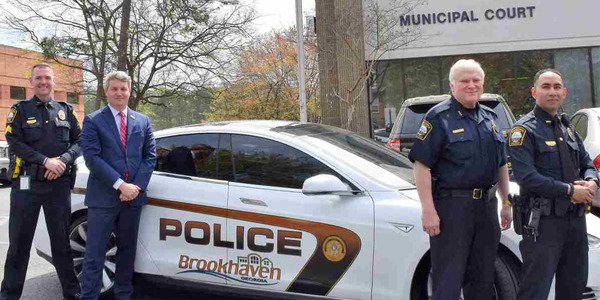 John Wilds, the company's fleet director, maintains a fleet of about 130 vehicles that will add 60 Bolt EV Cargo cars in early 2019. 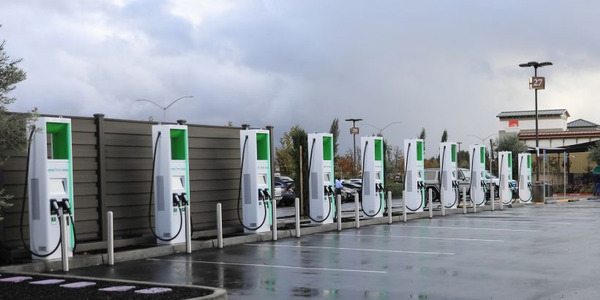 "Our aspiration is to be 100% fossil fuel free with our fleet," Wilds said. 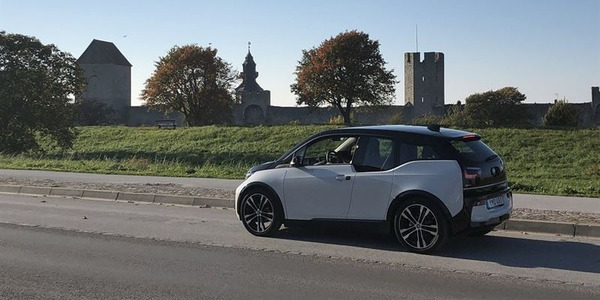 "The Bolt EV fit both a practical price point and has a longer mile range." 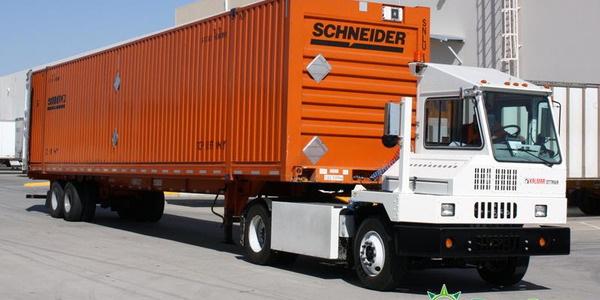 Because the cargo version gets commercial plates, it's well suited to deliveries in more dense urban centers such as New York City, where it can legally double park and use loading zones. 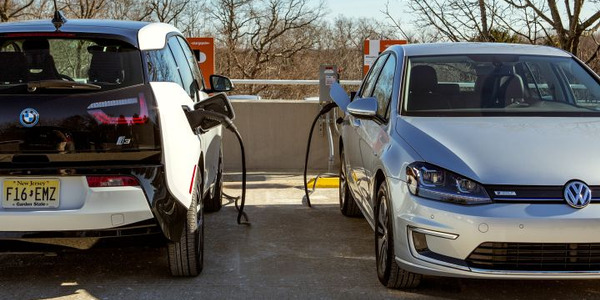 Drivers are given a ChargePoint card, and Wilds often sets up the delivery routes so drivers reach an EV charging station while making deliveries, this supplements the after-hours charging done in preparation for the next day. With 240-volt charging, the Bolt EV can return 25 miles for every hour charged.